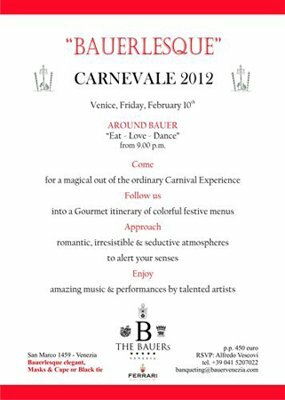 Last year the Bauerlesque, which is the costume party at the Bauer Hotel in Venice and one of the best examples of the great hotel hospitality, was a tremendous success. That’s why, this year it will be replicated and this time there will be Ferrari sparkling wine. 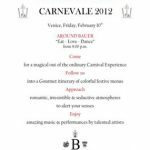 The Bauerlesque is not just a costume party to celebrate Carnival but it is also a culinary experience with a renaissance style buffet and accompanying acrobats, contortionists, music, dances and, especially, Ferrari sparkling wine. The long awaited and internationaly attended event will be held on Friday evening, February 10 at 9 p.m..